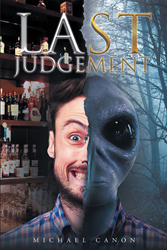 Recent release “Last Judgment,” from Page Publishing author Michael Canon, is the exciting tale of a down-on-his-luck writer who suddenly finds himself in an otherworldly situation and the people from his former life who make it their mission to find him. Michael Canon, a creative storyteller in many mediums, has completed his new book “Last Judgment”: a thrilling adventure that casts itself out from peculiar circumstances to broach into the world of the seemingly impossible. Published by New York City-based Page Publishing, Michael Canon’s engaging tale is both thorough in its exploration of the genre and brief, making it an excellent introduction to the reader who is new to science fiction as well as a satisfying read for the avid sci-fi fan. The narrative is peppered with enthusiastically descriptive illustrations that heighten the deep connections that are formed with the lead character nearly immediately. Dylan Anderson thought that his situation could not get any worse upon losing his job and all of the amenities that came along with it. However, when he finds himself inadvertently involved in a situation that takes his concerns far beyond those in this world, he realizes that there is a whole other side to existence: an extraterrestrial side. Meanwhile, Dylan’s former coworkers and lover are taken by the change they see in him since his job loss. Though they are mere ghosts of a far richer past, they prove themselves to be undeniable allies as his sudden disappearance draws them to pull their resources to help him. There is no way on Earth that they could have thoroughly prepared themselves for the secrets that would be divulged along the way. Readers who wish to experience this mesmerizing work can purchase“Last Judgment” at bookstores everywhere, or online at the Apple iTunes store, Amazon, Google Play or Barnes and Noble.